I am a Licensed Clinical Professional Counselor (LCPC) as well as a Certified Addiction Counselor (CRADC) in the state of Illinois; A Licensed Mental Health Counselor (LMHC) and Licensed Clinical Addictions Counselor (LCAC) in the state of Indiana. I was recently the Director of Clinical Services at TASC and now serve as a clinical consultant for TASC Clinical programs. Prior I served as the Executive Director of Serenity House Counseling in Addison IL. And at Gateway Foundation as a Clinical Supervisor of both the Men’s and Women’s Residential Units. Additionally, D. Feeney Counseling & Consulting has a Multi-Chamber Ribbon Cutting Celebration on November 1st! Click here to learn more. 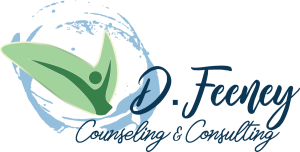 Click here to view more information about D. Feeney Counseling & Consulting!